Safety experts agree that the single most important step toward ensuring your personal safety is making the conscious decision to Refuse To Be A Victim®. You stand a much better chance of preventing criminal attacks if you develop a safety plan before you need it. That is why Elite Firearms & Training is offering the NRA Refuse To Be A Victim® crime prevention seminar. This NRA course focuses on proactive courses of action, rather than reactive. 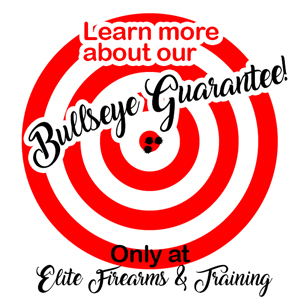 Criminals prefer easy targets. By making yourself more difficult to prey upon, you lessen your risk of criminal attack. That means having a personal safety strategy in place before you need it. The NRA Refuse To Be A Victim® seminar covers topics that pertain to both men and women. The information covered is appropriate for young adults, women, the disabled, parents, senior citizens etc. * This is not a firearms course. Firearms will be discussed briefly, but the goal of this seminar is to emphasize techniques and strategies to take in order to prevent becoming a victim. There are countless methods one can incorporate into their everyday routines to make themselves less appealing to criminals. Classes are available seven days a week!